How to choose the best washer? And how to know what is the best dryer? What to buy? The best answer is to read the customers’ reviews. According to them we have made some conclusions. The advanced cleaning system is provided with Samsung. This matching front-loading set looks great in every laundry room, it also gives you the opportunity to keep your clothes looking great. Both machines have steam technology, it allows you to sanitize and refresh clothing with the button. The stackable design operates with minimal noise if you buy Bosch 800 Series Front Load Compact Pair. These units maximize your floor space and provide a high-quality laundry experience. The washer has 15 cycle options and an EcoSilence motor. It minimizes noise during operation. In fact, some users report that they do not need to close the laundry room door thanks to the unit’s quiet motor. The best energy efficient set is provided with Whirlpool Washer and Dryer. It is really a great choice! They are designed with maximum savings in mind, both the washer and dryer have built-in settings that save you time and money. The best set which incorporates automatic WiFi connection is Best Smart Top-Loading GE Washer and Smart Dryer. This new introduction to GE’s product line takes the advances that the appliance company has made with smart home products. The machine features auto-dispensers for detergent and fabric softener. The units also respond to voice commands. If you would like to have a smart washer and dryer set that provides the aesthetics and functionality of front-loading machines, LG’s 5.2 cubic foot Washer with Steam and Wi-Fi Connectivity paired with the matching 9.0 cubic foot dryer won’t disappoint. You will see remaining cycle times and alerts when a cycle is done. One important capability is that you can start from anywhere using your smartphone. 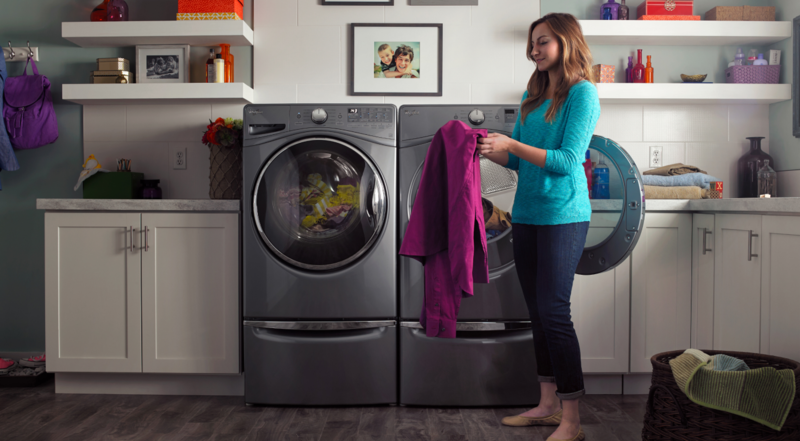 If your space is tight, GE Washer and Electric Dryer Laundry Center may be just the right fit. The single unit is equipped with a 2 cubic foot washer below and a 4.4 cubic foot electric dryer on top. The until measures 74.5 x 23.75 x 43 inches. The washer and dryer have a dewrinkle option and a quick fluff option to freshen up fabrics. If you look for a large capacity washer and dryer that can conquer your laundry baskets once and for all and impress your friends with its size you should choose this washer and dryer set. 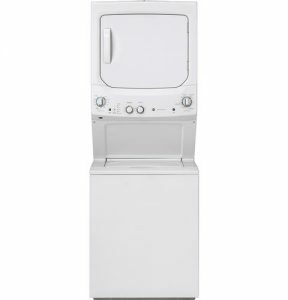 The Kenmore 5.2 cubic foot Front Load Washer and 9.0 cubic foot Front-Loading Dryer are among the largest pairs of washers and dryers nowadays. If large laundry loads are a frequent occurrence, this washer and dryer are really for you. So, the customers’ reviews can help you to do the right choice! Make your life not only safe but enjoyable too! You can find the best washer and dryer to buy! And you shouldn’t worry about any problems ever!